Karstens Conference and Computer Training venues offer purpose built state of the art training rooms in the heart of Melbourne and Sydney CBD’s. 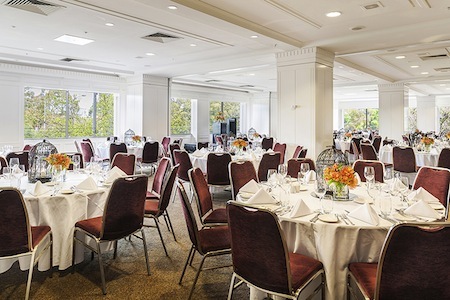 Our Melbourne venue, situated closely to the commercial buzz of Collins Street, bustling Federation Square and walking distance from Southern Cross and Flinders Street stations is the perfect location for hosting your meeting, event or training session. 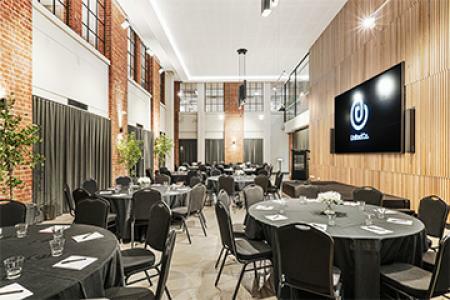 Occupying two venues at 118 and 123 Queen Street, Karstens Melbourne features 40 Conference and Training rooms and can host a variety of functions from 1:1 meetings up to 600 people banqueting style seating. Our rooms benefit from natural daylight, no pillars and a breakout area on each floor. We also feature Computer Training suites; designed for both software and web-based training and uniquely a floor of Mediation rooms. Karstens offer onsite catering options from Day Catering Packages to Cocktail and Canape menus. For additional facilities, we share facilities with the established CitiClub Hotel featuring Lanai Bar and Restaurant, CQ Bar, CQCuisine our Fine Dining option and Blue Diamond Nightclub. Perfect if you are looking for residential events or just a drink after your busy day. At Karstens our staff all have a background in hospitality making us experts in making your event a success. Our in-house catering offers a wide selection of catering options including healthy and buffet options. Karstens offers a seasonal rotating mens ensuring you receive a variety of catering items for morning teas, afternoon teas and lunches.